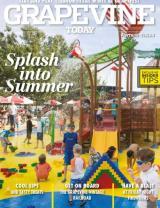 There’s one thing many parents stress over during the summer months: what to do to keep the kids entertained? And more importantly, how to squeeze a little education into the fun? We’ve put together a list of a few places in Grapevine that accomplish both, and might help keep the kids’ brains engaged until school starts. Step back in time to 1859 when the first settlers were putting down roots on the Grape Vine Prairie and let the kids see a life before iPhones. Open seven days a week through Labor Day, Nash Farm features both self-guided tours as well as special events, exhibits and programs. Come at the right time and you might get to help feed the chickens or hang laundry on the clothesline. Upcoming special programs include an Ice Cream Social (July 15), how to make Victorian-era paper crafts (August 4) and a soap-making workshop (August 26). Did you know thousands of sea creatures can be found in Grapevine? 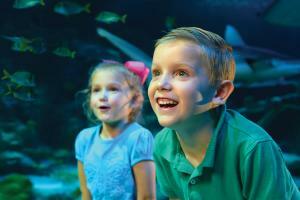 Dive deep under the water at SEA LIFE Grapevine Aquarium located inside Grapevine Mills. Here, you can explore 16 different exhibits featuring just about every kind of sea creature imaginable, from crabs to sting rays and even sharks. There’s also a touch pool for the little ones to feel those slimy scales, and a walk-through tunnel where fish swim right over head. 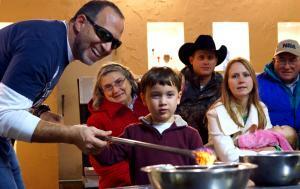 After a visit to this working studio, the kids will know that glass does in fact melt at around 2,800 degrees. Get hands-on by choosing a variety of glassmaking materials and create works of art from colored medallions to Christmas ornaments and more! While the shop is open most days of the week for walk-ins, you do need to reserve your time and class to glass blow in advance. And some events do have age restrictions – so be sure to check their calendar of events or contact them beforehand. For a unique look into how gas drilling and extraction is done, check out this one-of-a-kind learning center that you’ll only find in Grapevine. 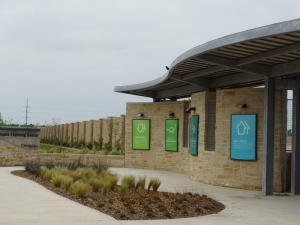 Curated by Chesapeake Gas Company, this outdoor learning area is located on a 2.5-acre piece of property next to Grapevine Mills where visitors can see into a live drilling site and learn through a self-guided tour what processes are happening literally beneath your feet. The exhibit is free, and as an added convenience, it’s adjacent to countless other activities inside Grapevine Mills including SEA LIFE Grapevine Aquarium. Let the kids discover how newspapers were made in the early 1900s, how cotton was harvested, and ring the town school bell in an original 1900 schoolhouse. 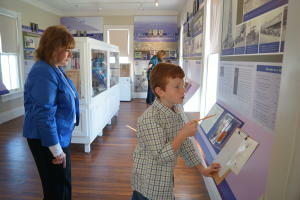 The Settlement To City Museums features four different experiences looking into the past including The Donald Schoolhouse which showcases how the first settlers on the Grape Vine Prairie got their education to the Keeling House which houses some artifacts from Grapevine’s past including a working 1881 letter press. As a bonus, the Grapevine Visitor Information Center is next door, and regularly features exhibits in its Tower and Grand Galleries. Currently on display is a free exhibition outlining the history of trains in Grapevine, complete with a 1,000-sq-ft. working model train setup. There are many ways to keep the little ones occupied in Grapevine until the first bell rings signaling the start of a new school year. After engaging their brain at some of these suggested locations, be sure to check out what other great attractions Grapevine has to offer this summer!